Those who believed that Khamenei would try to fix this election for Jalili as he is accused by the Green movement of doing four years ago were mistaken. Either the Leader feels that he has sufficient control of the country to risk a mildly reformist candidate like Hasan Rouhani winning, or the turmoil the country faced in 2009 chastened him and he decided to let the public blow off steam by giving him a president he isn’t entirely happy with. [A] former nuclear negotiator for Iran under President Khatami, and as President Rafsanjani’s top national security adviser before that, Rouhani will have a chance to “reset” relations with the United States. Just as important, the emergence of Rouhani as president of Iran gives President Obama a tremendous opportunity to re-start talks with Iran on a new basis, and the fact that Iran’s next president won’t be named Ahmadinejad means that all of the efforts by hawks, neoconservatives and the Israel Lobby to demonize Ahmadinejad are now for naught. 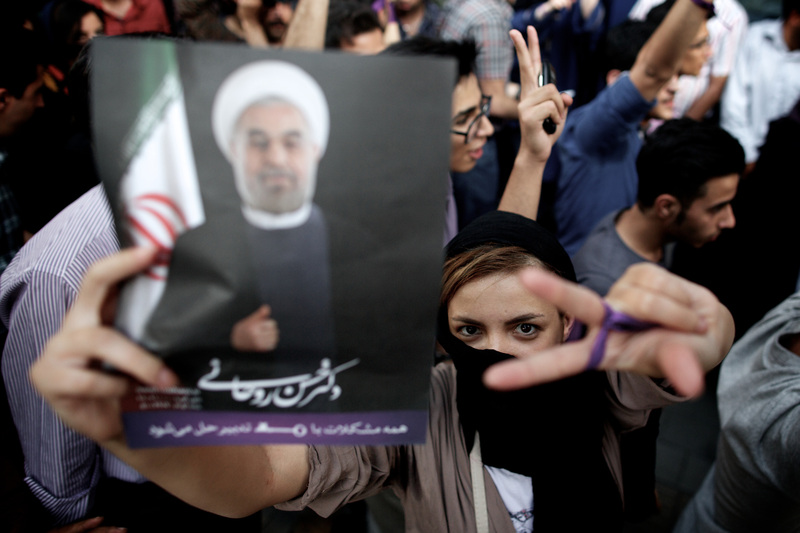 First, it’s not just about Rouhani; it’s about the personnel that would follow him into government and populate key ministries and institutions and reconfigure the political makeup of the regime’s decision-making table. When Mahmoud Ahmadinejad came to power, within months he fired 80 of Iran’s most experienced ambassadors and foreign policy profiles. Many of these were Iran’s most pragmatic and competent foreign policy hands, often key players in Iran’s more conciliatory decisions, such as the collaboration with the United States in Afghanistan and the suspension of enrichment in 2004. They were replaced by inexperienced ideologues hired not for their capabilities but their loyalty to Mr. Ahmadinejad. A reversal of this trend can prove quite valuable. Second, Mr. Rouhani and his entourage hold a different world view than those close to Mr. Ahmadinejad and the supreme leader. While still suspicious and distrustful of the West, and while still committed to Iran’s bottom line on the nuclear issue, the elite that associates with Mr. Rouhani does not see the world in Manichean black and white. The outside world may be seen as hostile, but common interests can still be found. Collaboration is still possible. Rather than emphasizing ideology and resistance, they pride themselves on being pragmatic and results-oriented (of course, within the context of the political spectrum of the Islamic republic). Parsi believes both the West and Iran should now take this opportunity for a reset.